A way to group youngsters by physicality rather than by age. How do we Bio-Band athletes? “Bio-banding is the process of grouping athletes based on attributes associated with growth and maturation, rather than chronological age (e.g. under-15s)” . Advocates of bio-banding state that restricting the differences associated with maturity variance (e.g. size, strength, and skill) will result in greater equality in training and competition, and could potentially help reduce the risk of injury among young athletes . Children of the same chronological age vary considerably in biological maturation, where we can see that some individuals reach maturity before or after their counterparts. Because the timing of individual maturation can have great implications for training, competition, and talent identification, it is important to develop an effective method of assessing young athletes in which they are not subject to a maturity bias . Keywords: Youth athletes, chronological age, biological age, maturation, growth spurt, peak height velocity, talent identification, training, competition, sports science. The search for talent is widespread and prevalent in youth sports, where selection or exclusion in many sports follows a maturity-related grade, especially during puberty when youngsters reach peak height velocity. If you wish to read more about how age and maturity influence talent selection, then you should read our article on the relative age effect. The goal of many sporting institutions and clubs is developing those who have the potential for success at elite levels of competition . In many cases, however, the effectiveness of talent identification and development programmes often depends on the efficient allocation of available resources (human and economic) in the most talented youths . Unfortunately, in many sports this maturity associated selection has contributed to promoting the relative age effect. The relative age effect has been related to the participation and long-term achievement in sport, in part, as a result of the physical differences in athletes of the same chronological age (e.g. height, size, and strength), as well as the selection practices in annual-based age-grouped cohorts . Maturation is a well-documented predictor of player fitness, performance, and selection in many youth sports such as soccer, baseball, ice hockey, and tennis [5, 6, 7]. Athletes who are more biologically mature have been found to perform better in strength, power, and skills tests [6, 7]. Moreover, during soccer games, early-maturing boys cover greater distances at high-speed, and perform more high-intensity actions than less mature boys . These performances create a false environment where early-maturing athletes are more likely to be successful, and are thus perceived by coaches and scouts as more talented. 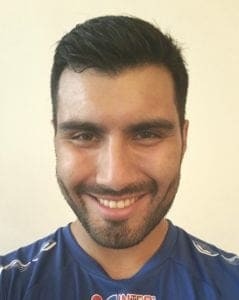 Consequently, early-maturing boys are more likely to be attracted toward, and selected, into sports where greater size, strength, and power are desirable attributes; for example, ice hockey, volleyball, soccer, Australian football, cricket, rugby [4, 5]. However, height differences among youth athletes are unnoticeable in late adolescent and early adulthood, therefore, the differences in performance becomes non-existent, or at least substantially reduced towards the end of adolescence . Despite large maturity-related differences in children at an identical chronological age (e.g. 12 years old) , the standard and most accepted classification in youth sports settings remains being by chronological age (i.e. age based on the calendar date on which they were born) . 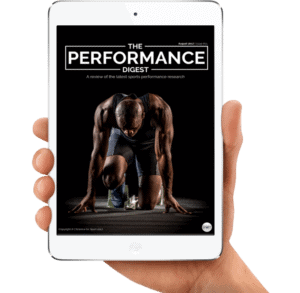 While this may be for practical reasons, it is important to know that many factors are involved in successful athletic performance in youth sports. In this sense, the physical characteristics determined by growth and maturation are an important part of a complex matrix, where children and adolescents are influenced by both physical, psychological, cultural and social factors [13, 14]. Biological age – refers to the biological status or maturity of the athlete depending on whether they are a pre-adolescent, adolescent, or an adult. Chronological age – how long an individual has lived in years, months and days. Maturation – refers to the progress toward the adult or mature state and can be defined in terms of status, timing and tempo. Growth – changes in body size, shape and composition. Relative age effect – refers to the immediate participation and long-term attainment in sport. 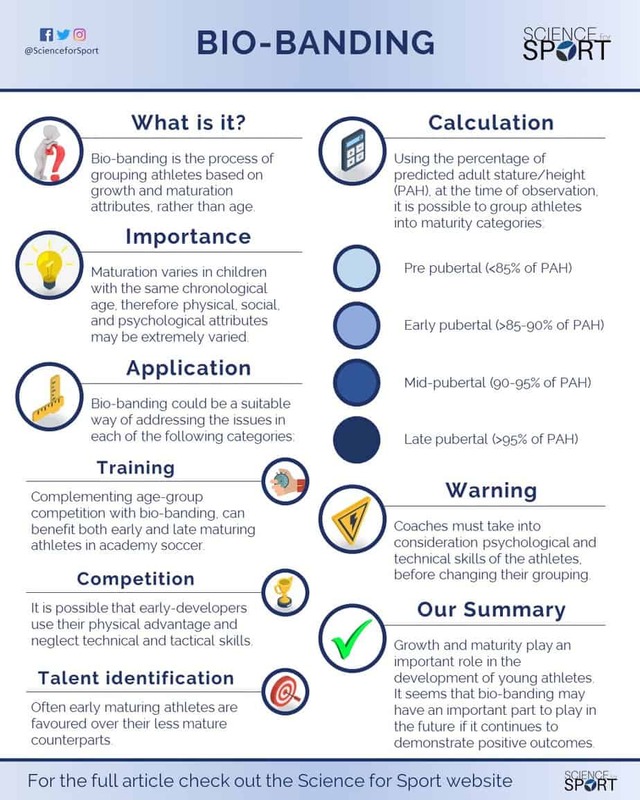 Proposals to match athletes based on physical attributes and maturity rather than chronological age have been attempted in several sports [2, 15]. Based on early research by Dr. Krogman , this strategy is currently labelled as “bio-banding” and involves grouping and evaluating young athletes based on size and maturity status, rather than on chronological age (e.g. under-13s) . Athletes of the same chronological age can have a different biological age, thus, their differences in physical qualities (e.g. strength and speed) can be tremendous. Moreover, in some age group cohorts, the differences between some young athletes can be as large as several years of difference in biological age. This, in turn, is likely to affect the athletes’ development and performance . Bio-banding tries to create an optimal environment were both early- and late-maturing athletes can thrive. By diversifying the learning environment through the creation of new and affordable challenges in the form of new settings (e.g. playing with younger/older peers), the process of bio-banding can, in theory, benefit both early- and late-maturing athletes . For example, in a bio-banded environment where early-maturing athletes are competing against others of similar physical prowess, they will no longer be able to rely on their physical prevalence, and therefore, would be encouraged to use and develop their technical and tactical skills. It would also prepare them for future challenges where they may have to compete against equally, or more, mature players. This equalising approach would also benefit the late-maturing athlete, who would have a greater opportunity to demonstrate their physical and technical attributes . As children experience maturational events (puberty) at different ages, their physical, social, and psychological differences are likely to be extremely varied, even amongst children with the same chronological age . In addition, the timing of maturation has important implications for training, competition, and talent identification. As a result, bio-banding could be a suitable way of addressing the issues in each of the following categories. Because physical attributes observed in youth athletes are considered to be poor predictors of success at the adult level , emerging evidence suggests that bio-banding, as a complement to age-group competition, can benefit both early- and late-maturing athletes in academy soccer . In terms of youth training, all fitness attributes are responsive to training stimuli at all ages, although some physical qualities (e.g. speed) may be more sensitive to adaptation at particular times of maturation (e.g. pre-peak height velocity) . It is important to manage and supervise each athlete’s training programme according to their maturation status and present skills. Moreover, the growth spurt is a period of elevated risk for overuse injuries, particularly Osgood-Schlatter disease. Therefore, the training load and the athlete’s health needs to be closely monitored during the growth spurt to avoid overuse injuries [20, 21]. Furthermore, as childhood and adolescence are periods in which motor skills are developed in abundance, it is therefore important for young athletes to focus their attention on their technical and tactical skills at this stage; both for their learning, and for their future performance . Competition is an integral component of youth sports programmes, where individual differences in growth and maturation have shown to impact player performance and the development of young athletes . In this sense, young athletes who mature in advance (i.e. early-maturers) may experience a competitive advantage in some sports because of their physical size and athleticism, thus being perceived as better . For example, imagine an under-14 male rugby match in which one team’s average height and weight were 160cm and 50kg (i.e. early-maturers), whilst the other teams were 153cm and 44kg (i.e. late-maturers), respectively. This scenario may encourage the early-developers to use their physical advantage and neglect their technical and tactical skills . This temporary advantage and success will also, in many cases, carry less challenging experiences, which, in turn, may stagnate the young athlete’s development. It is for this reason that the early-developing athlete may often be badly prepared for future competition against physically-matched opponents . It is also important to acknowledge the tremendous effect that maturation has on the identification and selection processes in sport. For example, late-developers have shown to be 10-times less likely to be retained by elite soccer academies (e.g. Manchester United Football Club and the Aspire Academy) . In this context, some evidence suggests that bio-banding may provide a useful solution for such a problem by decreasing the impact of the relative age effect . This would, therefore, help institutions and clubs to retain talented athletes that may otherwise ‘slip through the net’. Finally, the current selection strategies that favour athletes based on attributes that are not fully developed until adulthood (e.g. size and strength), may have negative long-term effects on the athlete’s psycho-social development, in addition to their sporting success. On the other hand, the maturity offset (i.e. the time away from peak height velocity) uses age, height, seated height, and weight to predict age from, and at, peak height velocity . This method is based on the logic that young athletes who are advanced or late in maturation, will experience peak height velocity earlier or later than expected. Although predicted maturity offset was suggested as a categorical variable, that is, as an indicator of maturity status (pre-, circa- or post-peak height velocity), it is often used as an indicator of maturity timing instead . In other words, how far the athlete is from peak height velocity. Although bio-banding places athletes into groups based on physical characteristics, it does take into consideration the psychological and technical skills of the athletes. For example, an early-maturing athlete may be discouraged from participating in competition with older players if they lack the technical skills, or the psychological maturity to handle the challenge. Similarly, a late-maturing girl who is already thriving within her age group is unlikely to benefit from competing against others who are younger, but of similar maturity status. As a result, both psychological and technical attributes should be taken into consideration when grouping athletes based on maturation for training and competition . Moreover, as a critical part of youth development, bio-banding also addresses the importance of the learning environment. It has been pointed out how factors such as social, psychological, and physical development are fundamental to the healthy development of children and adolescents [29, 30, 31]. Addressing one, or several, of these factors will certainly contribute to a better development of young athletes. From what age, or maturity development, do we start to bio-band athletes? How often do we need to bio-band in order to get the most benefit for the athletes? What criteria do we use to make exceptions for individual athlete’s participation in a certain band? Are the current measurement methods for maturity status optimal? How do we account for mental maturity, and how do we measure it in order to categorise the athletes? Youth participation, development, and in many cases, success, is an important task for sports institutions around the world. As growth and maturity have been identified to play an important role in the development of young athletes as well as their performance in any sport, new methods of accounting for the maturity-bias are needed. In this sense, it seems that bio-banding may have an important part to play in the future if it continues to demonstrate positive outcomes. While more research is required to firmly state that bio-banding is an optimal method for long-term youth development, it may have the potential to become a trustworthy method of assessing the development of young athletes. Ultimately, this would help sporting institutions and clubs improve their talent identification and selection processes, minimising the rejection and release of talented and prospective athletes. Sports Science entails many, many topics. 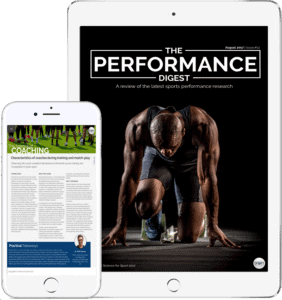 By choosing to simply read up on Bio-Banding and ignore the sea of other crucial Sports Science topics, you run the risk of being detrimental to your athlete’s success and not realising your full potential. To make you an expert coach and make your life as easy as possible, we highly suggest you now check out this article on Chronological, Biological & Technical Age. Malina, R. M. (2003). Growth and maturity of young soccer (football) players. In T. Reilly & A. M. Williams (Eds. ), Science and soccer (pp. 287–306). London: Routledge. Malina RM, Bouchard C, and Bar-Or O. Growth Maturation and Physical Activity. Champaign, IL: Human Kinetics, 2004.